If you are considering a Home Helpers franchise, don’t get blindsided by these 23 important franchise fees (from the initial franchise fee, to the royalty fee, to 21 other fees found in Items 5 and 6 of Home Helpers’ 2018 FDD). 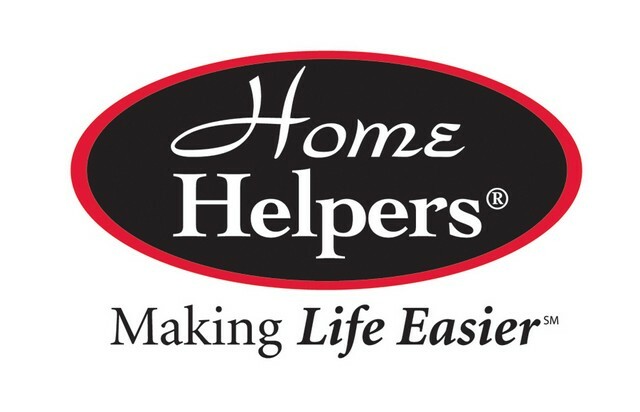 The initial franchise fee for a Home Helpers franchise is $46,900. If the population of your territory is greater than 200,000, you must pay an additional $500 for all or part of every 1,000 people over 200,000. For example, for a territory with a population of 203,300, the total franchise fee would be $48,900 [$46,900 + (4 x $500)]. The initial franchise fee is due one month after you sign the Franchise Agreement or two weeks before you begin the initial training program, whichever occurs first. After you purchase your first franchise, you may be eligible for a 10% discount on the then-current initial franchise fee for a second franchise that you purchase. Home Helpers may also offer a 20% discount on the then-current franchise fee for your third or greater franchise. To be eligible for this discount, you must pay the entire franchise fee at the time you sign the Franchise Agreement for the additional franchise and must be in good standing. Home Helpers may cancel or modify this discount policy at any time. Home Helpers is a member of the International Franchise Association and participates in the IFA’s Veterans Transition Franchise Initiative (“VetFran Program”), which encourages franchise ownership by offering financial incentives to honorably-discharged veterans of the U.S. Armed Forces. Home Helpers offers a $5,000 discount on the initial franchise fee to veterans who meet Home Helpers’ requirements and those of the VetFran program. You may receive only one discount on the purchase of any given franchise. You can reserve a specific territory for up to 30 days by paying a $5,000 deposit and sending Home Helpers a Deposit Remittance Form. The deposit will be applied toward your initial franchise fee. The deposit and the initial franchise fee for a Home Helpers franchise is non-refundable and fully earned upon receipt by Home Helpers. You must pay Home Helpers a one-time fee of $2,600 for a Grand Opening Kit. The Grand Opening Kit consists of an initial site license for the required accounting software; answering service for 6 months; a license for the required scheduling and billing software; and various marketing and public relations materials. The fee for the Grand Opening Kit is due when you begin the initial training program. You must also pay Home Helpers an annual Technology Fee of $600 for technology that Home Helpers licenses or otherwise makes available to you for use in the business. This includes software to access Home Helper’s Intranet, ad-builder, webinars, business forms, and reports. The amount of the Technology Fee is subject to change. Due Date: Payable by the fifth day of each month. Paid on Gross Revenues for the preceding month; the actual rate you pay will depend upon your annual Gross Revenues. Paid monthly; annual contribution calculated on Gross Revenues for the one-year period ending on the preceding October 31. If an advertising cooperative is established or operating in your area, you must contribute. Payable as a condition to selling your franchise to, among other things, cover the expenses of training the franchise purchaser; no Transfer Fee is payable for transfers to a company you form for the convenience of ownership. You must pay Home Helpers a fee for technology that it makes available to you for use in the operation of the business; this includes, for example, software that gives you access to its Intranet, ad-builder, webinars, business forms, and reports. Due Date: Before you obtain your state home care license. In states that require a license to provide home care services, you will be required to buy a Policies & Procedures Manual from Home Helpers. Due Date: Prior to attending meeting. Home Helpers may hold regional and/or national meetings with its support personnel and franchisees. It can charge a “no show” fee if you do not attend at least 1 national conference every 2 years or if you register for any meeting and don’t attend (even if there was no registration fee for the meeting). Due Date: Upon order by you. Should you request electronic copies of marketing materials, you will need to reimburse the branding fund for its costs in creating the materials. Due Date: Within 90 days after signing the Franchise Agreement. If you sign the Franchise Agreement individually, then you must form a business entity (such as a corporation) and assign your individual rights in the franchise to the business entity. You must pay a late fee on any payment that Home Helpers receives more than 5 days late or any report that it receives after the due date. In addition to the late fee above, any payments more than 30 days late accrue interest at the rate of 18% per year. Payable if Home Helpers determines that your client is entitled to a refund. Payable only if audit is prompted by your failure to maintain or submit records, or audit shows an understatement of revenues by 3% or more. Due Date: Payable with your royalty or branding fee payments. You must pay any state or local sales or use tax that may be assessed on the royalties, advertising fees, or other fees you pay to HHFS. You must reimburse Home Helpers if it pays your expenses when you fail to so do, such as rent, taxes, client refunds, or other liabilities. You must pay any legal expenses Home Helpers incurs, including attorneys’ fees, to enforce your Franchise Agreement. You must reimburse Home Helpers if it is held liable for claims arising from your business. Due Date: When you purchase a unit. You must purchase or rent medical alert units to provide Direct Link Services. You must purchase monitoring services for each medical alert unit placed with a client.